At 5 years old, my first rock concert was the band KISS. I thought, “These guys are really wild." I was wowed by the then-new pyrotechnics. My parents were open-minded, many times going against the grain and I am grateful for that. They set an example early on to stand up for what you believe. The brand and music of KISS was in a similar spirit of revolution in the 1970’s___ being unique, and speaking your mind. My brother and I dressed up as members of the group for Halloween. The gluey face paint required constant upkeep. I even had KISS action figure dolls which paired beautifully with my Barbie collection. You can imagine the heat created by Gene Simmons and Barbie___fireworks of their own! Ken didn’t stand a chance. 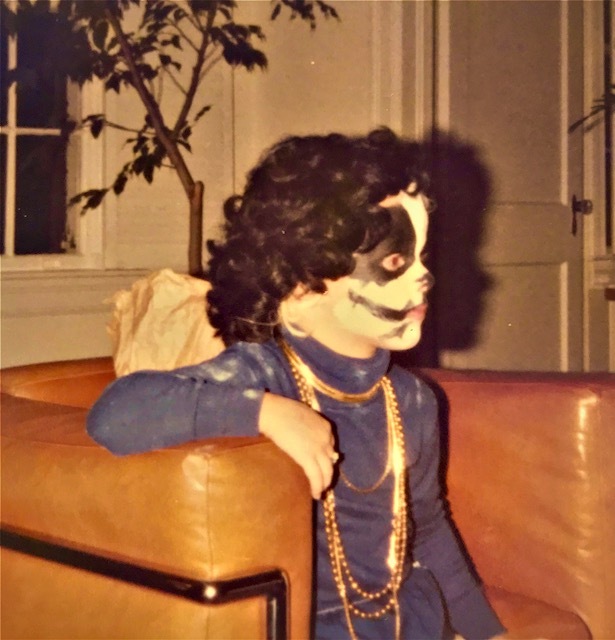 Dressed up as KISS band member Peter Criss. 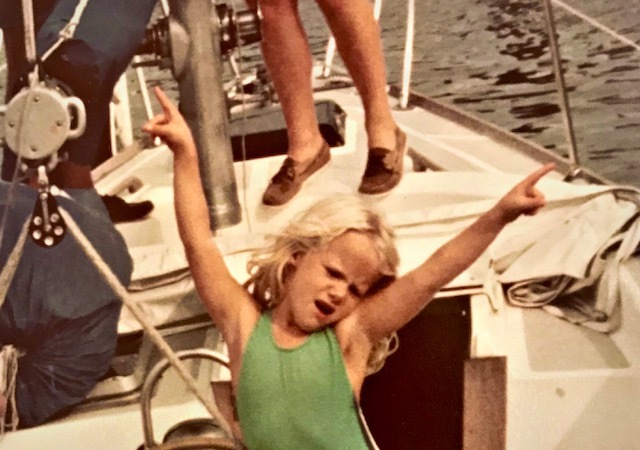 In addition to introducing rock n’ roll into my life, my folks got into boating and sent me to sailing camp on the North Carolina Coast. The trip to Arapahoe was taken in our brown and orange station wagon. In the hot summer my legs stuck to the beige naugahyde seats. The middle of the front seat folded down to create an arm rest and the ideal place for me to perch__smack in between Mom and Dad (where the action was). This arrangement also left the perfect amount of room in the front for a six pack of Miller Light which I sipped on every now and again (unnoticed). Cradled by the seats, I was in their world which I desperately wanted to be a part of. It always seemed so interesting and full of drama. 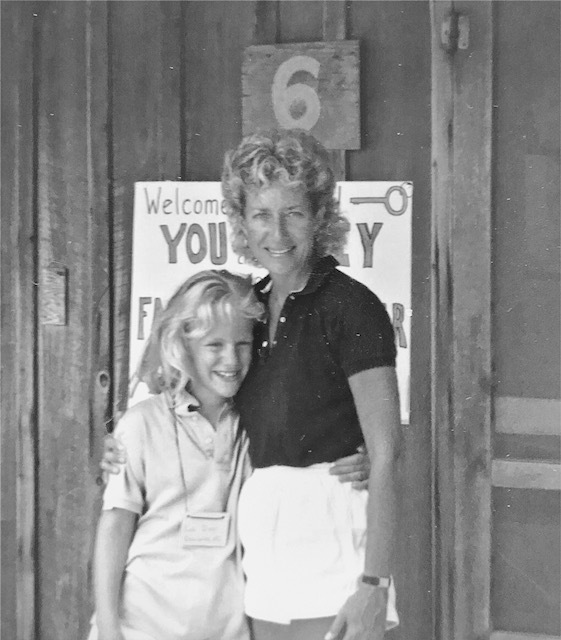 Camp Seafarer gave me a chance to create a story of my own. I found freedom in motor boating, sailing, jeep rides, and dances with boys (from far off places like Maryland and Texas) attending Camp Sea Gull. When my parents picked me up, I was bursting at the seams to share my tales of camp life. They listened as if they were hanging on every word. Snuggled in the middle seat, I was the star of the show for those few fleeting moments. By doing things differently and being exposed to extraordinary experiences early on, my folks taught me the value of individuality. And they LISTENED. No matter your age, we all want to be heard. Acknowledgement is a fundamental need. One of the kindest things you can do is listen deeply to those you love. Then be bold enough to share YOUR story. In my short time of writing and promoting my positive messages, I have had people say they are energized to write and inspired to pursue a dream.